Steven Universe Recap - S04E08-10 - "Gem Harvest" + "Three Gems and a Baby"
I may be late, but ain't nothing gonna stop me from covering Steven Universe episodes. Thus, we're going to go over last year's final two episodes, before the show's (probably) temporary return on January 30. Ones of the reasons I was late in reviewing this episode (which affected the following one) was uncertainty in how to cover it. 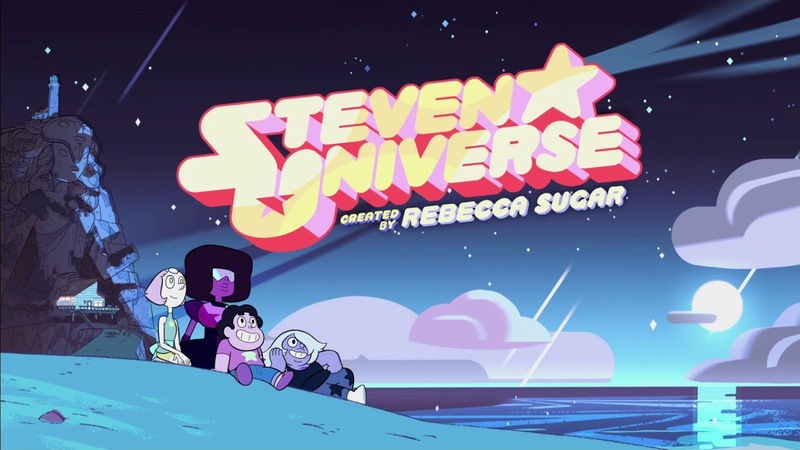 When it comes down to it, it's a regular Steven Universe story, only twice the usual length. Peridot and Lapis are living the dream in the barn, and are even trying their hand at farming (which may or may not be a jab at last summer's ridiculous "lesbian farmers" incident). Their shenanigans are interrupted by the arrival of an interloper: Andy DeMayo, Greg's cousin and Steven's uncle. 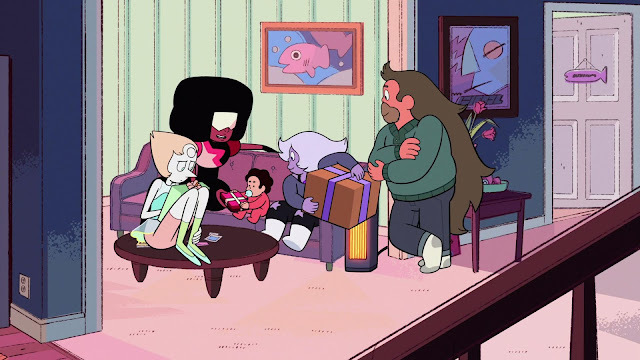 The barn turns out to be DeMayo family property that Greg just decided to allow the Gems to use (speaking of which—not cool, Greg). Andy is understandably pissed, especially since Greg pretty much cut ties with him and the rest of the family. It's up to Steven and the Crystal Gems to win him over. 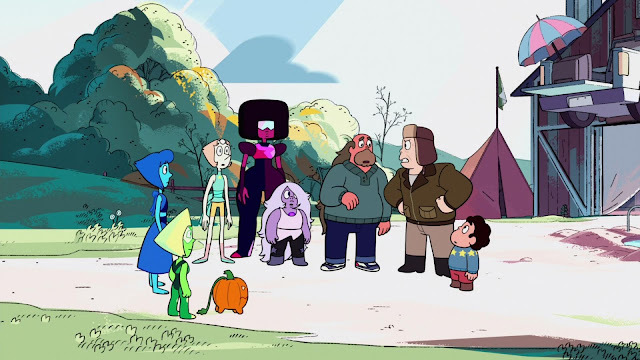 The reason I struggled to tackle "Gem Harvest" has little to do with the actual episode, and more with its timing. The general plot is not out of the ordinary for the show—reaching out to someone, finding out what ails them and helping them through it; if not entirely fixing it, then at least making it more bearable for a while. The reason Andy lashes out at Greg and the Gems isn't the barn: it's his inability to deal with change in familial relations (and in general) and abandonment issues. Nothing out of the ordinary for the show, or any other seasonal special. But boy, did it come out at the wrong time. By which I mean—right after that election. I'm actually curious how the show's target audience reacted to the episode, because I and a few others whose thoughts I read did not take it well. Andy's rants against aliens (a term used against immigrants and their children), Greg not being married and other complaints; we've had the displeasure of witnessing similar for most of the year. And that made empathy towards him all the harder, even though he was right to feel the way he did. In time, I'm certain "Gem Harvest" will be looked upon as a regular Steven Universe episode, and will be all the better for it. 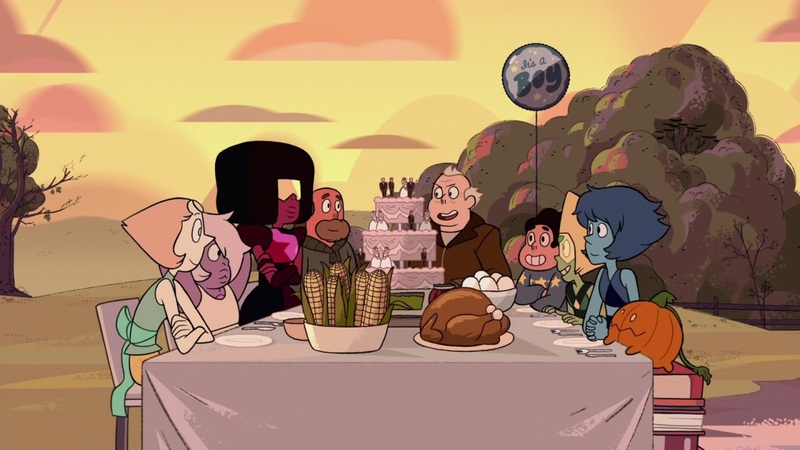 There's a lot to like about it: the animation is as good as usual, there are a number of great moments (for instance Pearl's "let's all marry each other" and the Gems' table conversation). There are also a few details from Greg's history, like his last name (Universe did sound a little too cool for a real name). It's already more tolerable just a couple of months after its release, but we could use a little more time. This one, on the other hand, is pretty un-problematic: another one of Greg's "once per season" stories from before the start of the show. This time, we get a tale from Steven's infancy and the Gems' early attempts at understanding him. This is a very Gem-focused episode, as all three are still dealing with the idea of Rose’s passing and Steven’s birth, and they all process it in different ways. Amethyst has trouble differentiating the two and most of the time still calls him “Rose,” needing to be reminded by Garnet that those are two different individuals. And when Steven’s gem begins to glow, she assumes he really is Rose still, only for some reason still shapeshifting as a baby. Pearl is still grieving for her lost heart (obviously) and takes the same occurrence as a sign Rose is trapped in the baby and wants to get out. And as a result (in what seems to be the start of a streak of Pearl willing to go to extremes to achieve something she feels has to happen), she’s seriously pondering killing him to free her love—only barely stopping out of respect for Rose’s dying wish. Garnet seemingly takes it best, trusting in her future vision, but while she gets the closest by assuming Steven’s a fusion (because he is in a small way), even she only barely starts grasping the idea of him as an individual. She’s in a better place than the other two, though. In the end, it’s a fun, if occasionally dark, blast from the past, showing us how Gems—as completely alien beings—started grasping how to treat and understand Steven. And that's it for now. We'll be back in early February to cover the new Stevenbomb: five episodes spread across four days (January 30 will have 2 episodes). After that, who knows? Maybe we'll get another Summer of Steven in 2017? In any case, I'll see you then.